Here's another less crew-intensive way to get your sailboat (or power boat) to Victoria. This ship transport just arrived in Victoria at our dock this evening. 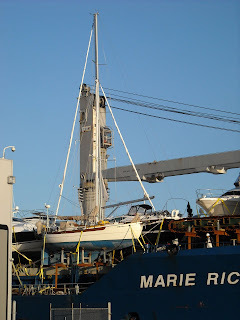 They offload the boats with the crane on the ship and drop them into the water beside the ship.